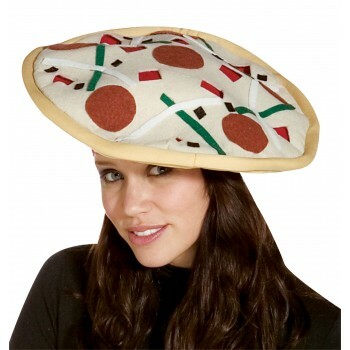 Great creative costume accessory for the pizza lover! 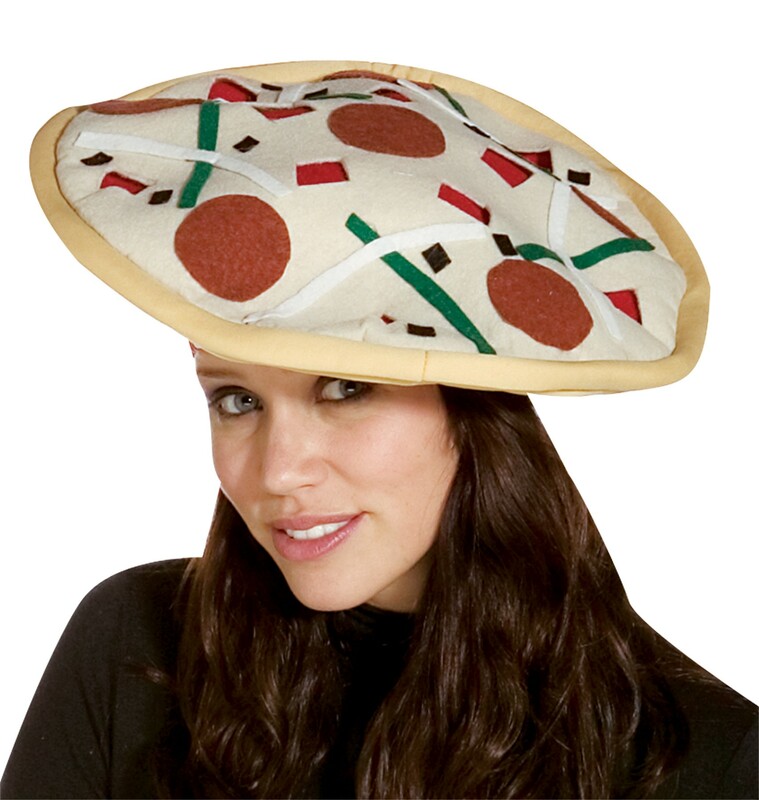 Foam-backed cloth soft padded pizza hat looks just like a pizza with your favorite toppings. Printed pepperoni, green and red peppers, onions, and mozzarella create the visual thought of many people's most-loved food! Just add your own shirt and pants. One size fits most.